As a former veteran newspaper reporter on the crime beat, I can smell a homicide when it’s authentic and this book is bursting at the seams with it. I’ve seen many cases that resemble this one so aptly told by Laura Jackson, a psychiatric nurse-turned-sleuth. Without doing a spoiler alert, she does a very admirable job with the 1988 heinous crime of two tots fatally beaten, wrapped in plastic, and stored in a sealed trunk. Jackson, a young partner in an investment group in Chicago, was chosen to collect back rents in several properties. She admits she only met the murderous couple, Andre and Shelia Jones, once before the killing. The Joneses had been living in the building for over a year without paying rent. Jackson wondered where were the families of the couple or the neighbors and if they had noticed anything strange in the apartment. Other highlights are a series of interviews with the husband, Andre, who was serving life at Stateside Prison. Jackson knows Andre is a controlling, manipulative man, touting he has become a paralegal and have a degree in ministry. He talks about meeting Shelia, “a friend of a friend,” but he realizes when she births a baby girl, that the infant’s father is the same man who sired Luther and Jessica, his stepchildren. The transcripts of the case and trial are jaw-dropping and grisly. Shelia, who took part in the slaying, turned herself into the law, getting a 60-year sentence. However, the old sentence was vacated and replaced with a 20-year term. She was released in 2012. Using the literary skill of homicide maven Edna Buchanan and Ann Rule, the Queen of crime, Jackson has fashioned a sampler of true larceny fortified with solid psychological know-how. It’s a powerful work full of stunning surprises. 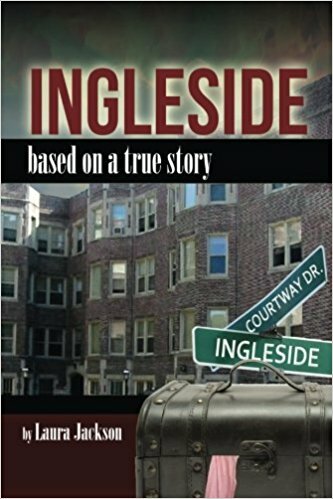 Read EJP Publishing’s description of Ingleside: Based on a True Story.